Hi Yaron, nice to meet you. Today I would like to ask you a few questions about your field of expertise; investments, startups and tech. What, in your opinion, are the key differences in raising VC money between Germany and Israel. Hi, nice to meet you, too. The German and the Israeli ecosystem are certainly very different: Israeli startups are usually very technology-based, whereas German startups are more focused on business model innovation. And this also impacts the pitches that a VC will see and the discussions that they will have with startups. In Israel, the discussion will be much more technical than usually in Germany and in general Israeli VCs will have a better understanding of technology than their German counterparts. And German investors will have a more insights into user facing applications and commerce. That’s an interesting insight Yaron. and I have a follow up question for you. Could you share a success story of an Israeli startup that is “making it” in Germany? Can be from your portfolio or not. Fyber is an interesting German-Isreali success story in our portfolio. Fyber, the European leader in technologies for mobile advertising, is a German company that acquired the Isreali company Inneractive, whose management team then took over from the German Fyber management team – and they are doing very well. You just named Fyber as an example for a company. What are the best industries or verticals, in your opinion, for Israeli startups in Germany? In general, Germany is an interesting market for Israeli technology startups. And in my view, there is a particular demand in Germany in the space in commerce enablement and technologies that benefit SMBs and manufacturers. And now my final question Yaron. Is it important to you as an investor to be mentioned in a pitch, and what would be a definite no-go? There are the three things that can easily destroy any pitch: First of all, if we see that a team that doesn’t work well together. Also too small and/ or crowded markets are no-go zones. And last but not least, silly comparisons to successful companies are not a good thing, e.g. if a found says “we will be the Uber of washing machines”. On the positive side: a good pitch shows a spotless understanding of the market and the opportunity. And we like to see excellent teams with strong amibitions, where the individual team members complement each other. Thank you Yaron for the nice interview. 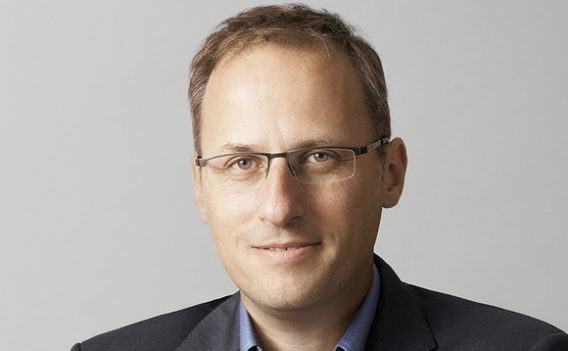 Prior to joining Target Global Yaron managed Hasso Plattner Ventures. While at HPV Yaron invested in companies such as Panaya (sold to Infosys), Fyber (sold to RNTS Media), Delivery Hero and many other leading companies in Berlin and Israel. Before that Yaron led the enterprise software practice at Giza Venture Capital where he invested in companies such as Soluto (sold to Asurion), Yadata (sold to Microsoft) and eGlue (sold to NICE Systems), was an early stage investor at the Technion Incubator, and was a co-founder and VP of business development at Excedo Technologies. Yaron holds an MBA from INSEAD in France and a B.Sc. in Information Systems Engineering from Ben-Gurion University in Israel.